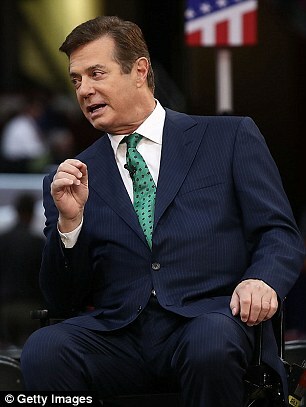 A secret ledger allegedly links Donald Trump’s campaign manager Paul Manafort to $12.7million in cash payments from ousted Ukrainian leader Viktor Yanukovych’s party, according to a report in the New York Times. Yanukovych was deposed in Ukraine’s Orange Revolution of 2014 and was found to have amassed a huge fortune by looting from the country’s coffers. His name is mentioned 22 times in the handwritten ledger, recovered from the office of Yanokovych’s party – but it is not been proven if he actually received the payments between 2007 and 2012. His lawyer Richard Hibey has denied he received ‘any such payments’ or that he was involved with anyone who broke the law. Hibey claimed the allegations were politically motivated. Mr Manafort started working in Ukraine following the Orange Revolution of 2004-5, a series of political and public protests. He worked as a political adviser to Yanukovych, helping the pro-Russian Party of Regions to win the largest bloc in the parliamentary elections of 2006 and in 2007. Investigators from the National Anti-Corruption Bureau are trying to examining the ledger and other documents found in a bid to get to the bottom of a corruption network they say was used to ‘loot Ukrainian assets and influence elections’ during Yanukovych’s administration, according to the Times. They allege the payments in the ledger were used by the Party of Regions to keep track of payments that are illegal and secret, some of which were made to election officials. They say the payments designated for Manafort are a key part of their investigation. Prosecutors are also investigating offshore shell companies which funded the extravagant lifestyles of Yanukovych and his inner circle. This includes the former leader’s palatial residence – which boasted a private zoo, helicopter pad and a golf course. 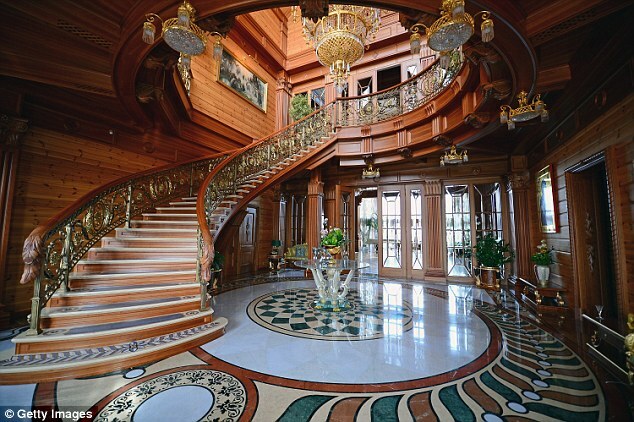 Yanukovich left the sprawling luxury estate in Mezhyhirya and fled to Russia following his removal from power in 2014. Although Manafort is not linked to that enquiry, prosecutors say he must have realized what the implications of dealings were. Vitaly Kasko, a former senior official with the general prosecutor’s office in Kiev, told the Times: ‘He understood what was happening in Ukraine. ‘It would have been clear to any reasonable person that the Yanukovych clan, when it came to power, was engaged in corruption. The allegations come at a time when the United States’ relationship with Russia and Ukraine has become a recurring issue in the presidential election. 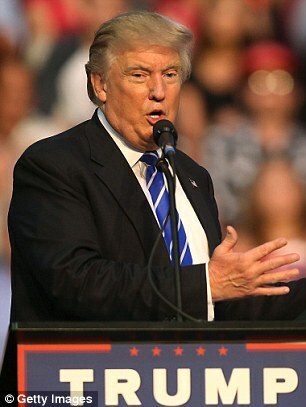 Trump has repeatedly made comments praising Russian leader Vladimir Putin as well as recently urging the country’s hackers to find his rival Hillary Clinton’s missing emails – after reports that Russia was behind a hack of DNC emails. Meanwhile, Trump’s ousted campaign chief Corey Lewandowski appears to be delighted by the report, sharing a link on his Twitter page. In 2014 demonstrations and civil unrest developed in Ukraine with protesters demanding more European integration and the end of alleged government corruption. In an attempt to put down the unrest, police fired live and rubber bullets at protesters. More than 100 people were killed in the violence that followed, centred on Maidan square in Kiev. 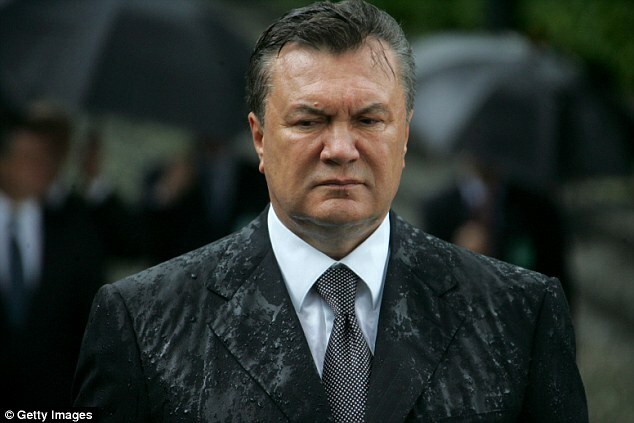 After months of unrest Yanukovych fled to Russia on February 23, 2014, with the help of Moscow troops. 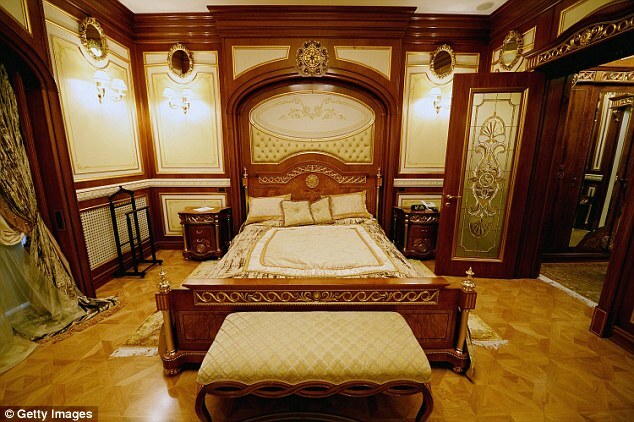 After he was removed from power, protesters stormed Yanukovych’s estate in Mezhyhirya and found sculptures worth millions, a white Steinway piano, gold-plated taps, chandeliers everywhere, valuable paintings and elegant glass and tableware. 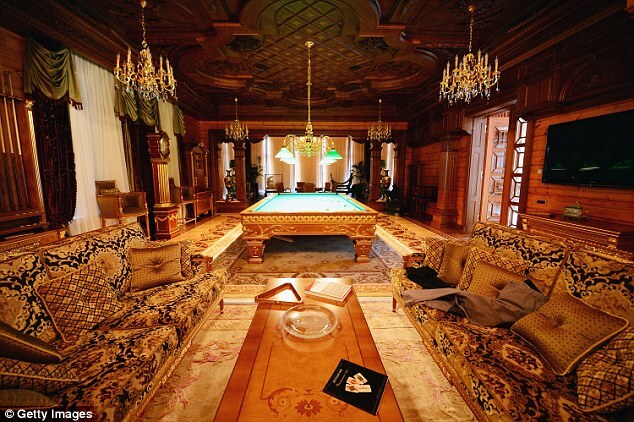 The property also boasted a golf course, helicopter pad, cinema room and a garage filled with classic sports cars. In 2014 the Ukrainian Interior Minister’s aide Anton Herashchenko alleged on Facebook that President Vladimir Putin signed a ‘secret decree’ granting Russian citizenship to Yanukovych, according to Radio Free Europe. Last year Yanukovych went on to praise the Russian president and thanked him for ‘saving his life’ for him helping out of Ukraine.